When at primary school, lunch time was the best. It seemed to go on forever, playing games with your friends and digging into your packed lunch or school dinner. I was always armed with my packed lunch, lovingly prepared by my mum that morning, filled with goodies to munch on. But with worries about child health and obesity levels, the push for healthy packed lunches is ever-growing for the children of today to get the right nutrition. 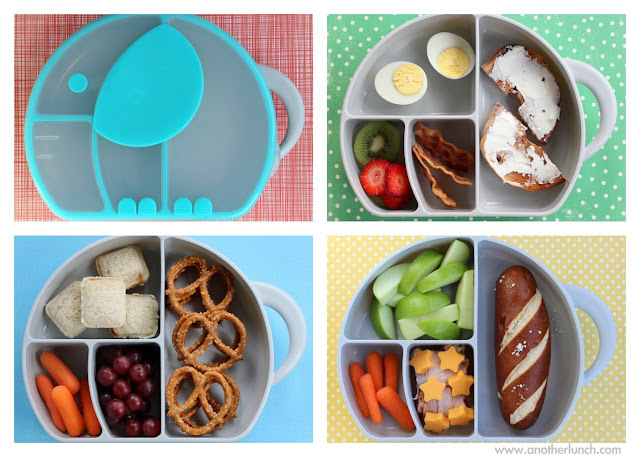 So, what should be in that colourful lunchbox your child holds with pride? It’s likely that your 7 year-old will ask for sugary treats like mini donuts, chocolate bars and salty, high-fat packets of crisps for their lunches when you’re composing your weekly shopping list. But of course, a box filled of unhealthy foods isn’t going to benefit your child, no matter how much they protest. A starchy carbohydrate – breads for sandwiches or rolls and opting for wholegrain will be better than white bread. Breadsticks are also great for finger-food, or going for a pasta option over a sandwich may also be great, adding variety. Something fresh – it’s a given that fresh fruit and vegetables will be beneficial, and adding one or two portions of the recommended five-a-day is great. Carrot sticks, a banana, apple pieces, raspberries etc. add sweetness and a healthy element. A source of protein – add an element of meat and dairy (or alternatives to cater for intolerances and allergies) in the form of cheese pieces, or cheese in a sandwich mixed with ham is a match made in heaven. Yoghurt is a nice addition too; sugar free pots are the best kind. A snack – sadly, this doesn’t mean a Mars bar. Replace chocolate bars with fruit loaf or rice cakes and easily replace crisps with bags of popcorn. And a drink – water is the best option to add hydration to a lunchtime when games of ‘it’ may ensue, or sugar free juices are a sweeter option. Of course, avoid full-fat, full-sugar soft drinks, as they’ll be damaging to dental health and sugar levels. The combination of the above will provide nutrition and a healthy balance. Of course, it may get repetitive so choosing to switch-up options will be great to keep interest and add variety. While every child would love chocolate and crisps every-day, it really won’t benefit a child’s health. But perhaps once a week, giving a snack-sized chocolate bar as a treat will be fine, and something for them to look forward to. It does depend on individual tastes and preferences, but it is easy to fill a lunchbox with healthy options for any child. Healthier options and natural sugars from fruit will give that energy boost to help them continue to learn throughout the day, while ‘sugar-rushes’ from chocolate and sweets won’t have the same effect. So, it’s a no-brainer really; packing a lunch box with low-fat, low-sugar, nutritious foods are the way to go. A treat once-in-a-while won’t hurt, but obviously, keep the amount of these low as compared to healthy options.